Character - Inquisitor. Points: 13/16. Health: 12. 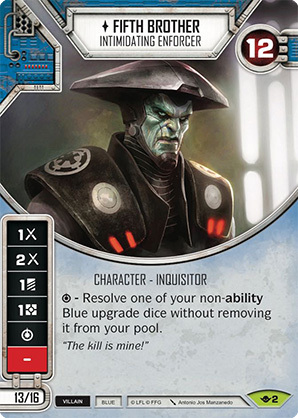 - Resolve one of your non-ability Blue upgrade dice without removing it from your pool. Way of the Force #2.